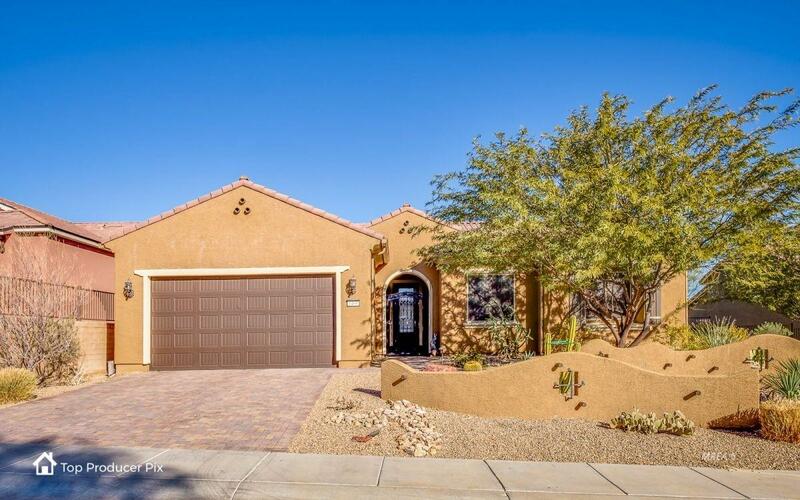 Located in Sun City....this beautiful home is the popular "PURSUIT FLOOR PLAN". Brick paver driveway sets the tone for the upgrades you will see inside this home. Custom designed "Iron Gate" accents the entryway to the front door. Living room has an electric fireplace that is inset in the center of the entertainment wall with niches and glass shelving with overhead lights that make this wall a piece of beauty in this home. Kitchen has stunning upgraded granite counter tops, under cabinet lighting, roll out shelving for upper and lower and as well as additional cabinets. 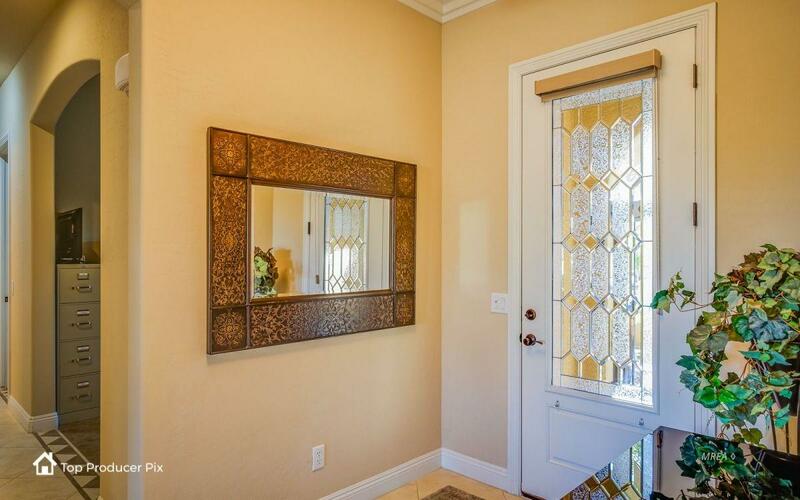 Home has 20 x 20 tiles throughout entryway, living room, kitchen, dining and bedrooms. 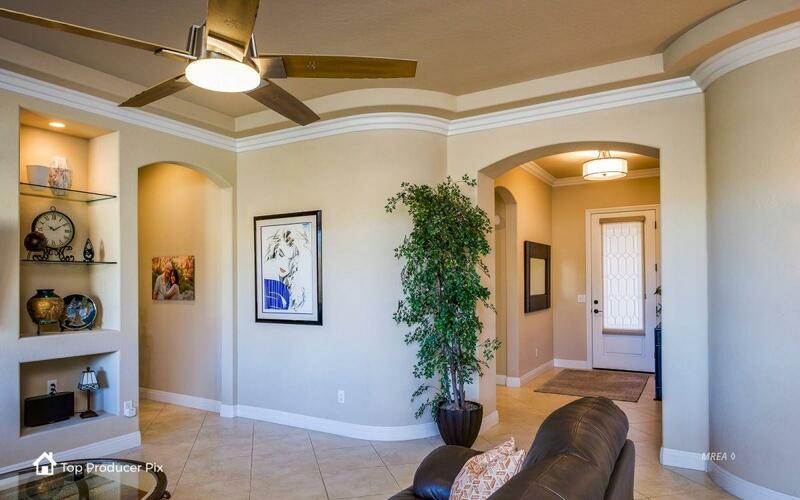 Coffered ceilings with crown molding are additional exceptional upgrades in this home. Master bedroom has large bay windows that bring in natural light. Master bathroom has spacious tiled / glass walk-in shower. Backyard is a show place for sure.....unique water feature has three water falls that cascade into a recirculating pool. Exceptionally large brick paver patio with a northern facing orientation are such a plus. Garage has a 4ft extension creating additional parking and storage. Immaculate, move-in ready. 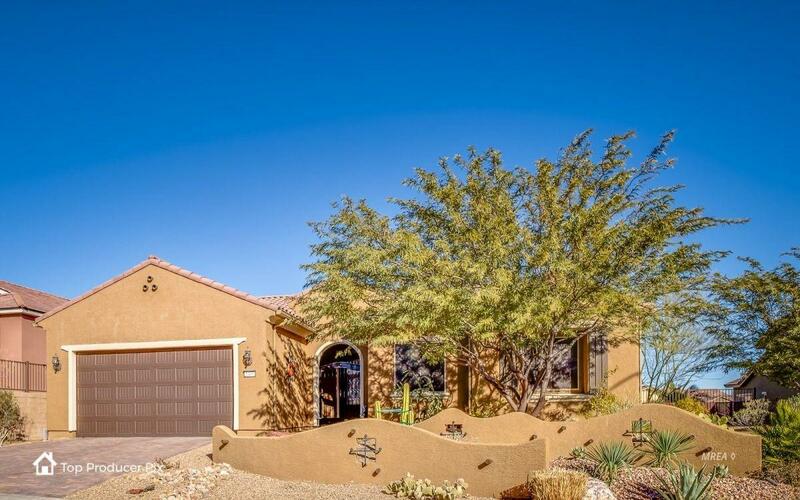 Exterior Features Fenced- Full Landscape- Full Sprinklers- Drip System Trees View Of Mountains Senior Only Area Patio- Covered Swimming Pool- Assoc.